Make Your Braces Bands Work for You! Ask Us About Invisalign Teen® Treatment! Many teens want straighter teeth but dread a mouth full of metal. Because of that, Invisalign Teen treatment has become a popular choice among teens. It produces great results without the hassle of traditional braces. 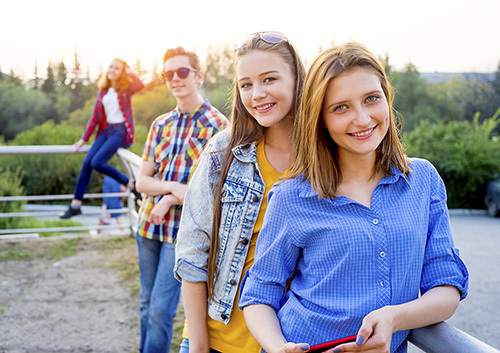 If you’re like most teens at our Boynton Beach, FL office, you love hanging out with your friends, and you don’t want to look different or have to watch what you eat. If you’re unsure about the benefits of Invisalign Teen clear aligners, we’re here to explain some of the perks. Since Invisalign Teen aligners are removable, you won’t have to worry about finding tooth decay once your braces are removed. You can brush and floss your teeth as you normally would, just by taking the trays out of your mouth. We’ve saved the best for last: Invisalign Teen aligners are nearly invisible. Chances are, the only people who will know you’re getting your teeth straightened are the people you tell yourself! Getting straighter teeth can be a massive confidence-booster in the long run. With Invisalign Teen clear aligners, the treatment isn’t that bad! Learn more at our Boynton Beach, FL office.